The University Teaching Departments, Institutes, Centres and Constituent Colleges/Schools will remain closed from Tuesday 26th December, 2017 to Saturday 30th December, 2017 on account of Winter Recess. 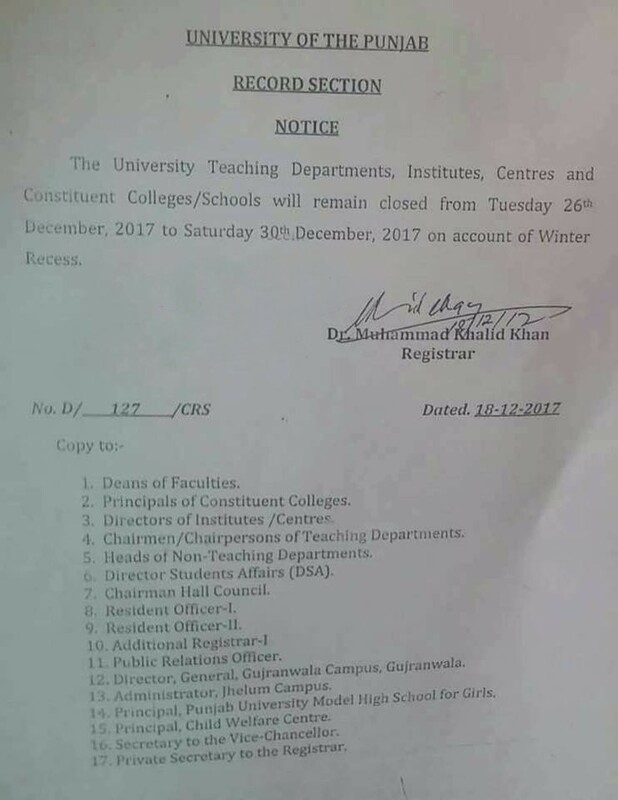 These winter vacations are announced every year in the last week of December. The notification was issued on 18th December, 2017 with the signatures of Dr. Muhammad Khalid Khan (Registrar, PU Lahore). The university and all its departments will open on 1st January, 2018.